Crossover movies can be tricky beasts. By definition you’re serving at least two masters from two different fan bases. When combining two properties like Aliens and Predators — ones that had already faced off in the worlds of comics, video games and pretty much everything aside from movies — there’s a lot to live up to. 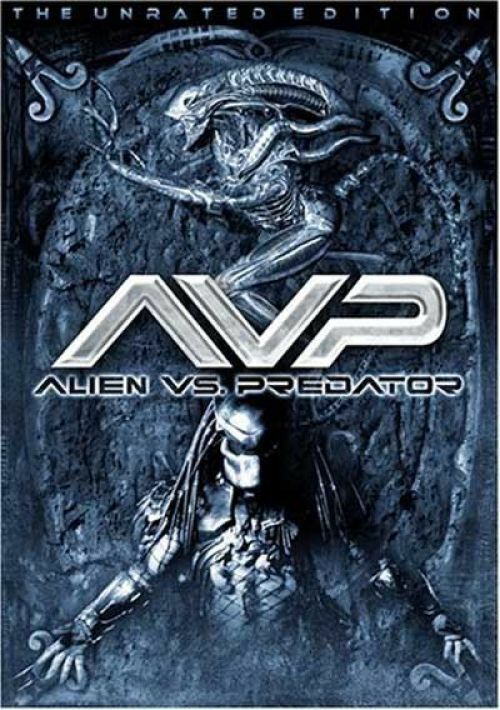 When we first saw AVP back in 2004, we were admittedly disappointed. Frankly, we would have been happy if the movie was simply our two favorite aliens smashing each other to bits at every chance without so many pesky humans getting in the way. Well, we revisited the movie recently and it’s a wonder what lowered expectations combined with a better working knowledge of a story can do for enjoyment of a film. Going blind into any franchise flick or remake, you’ve got a certain set of expectations and the new film either meets them or doesn’t. If they’re not met, then you leave disappointed at best, which can sour you. 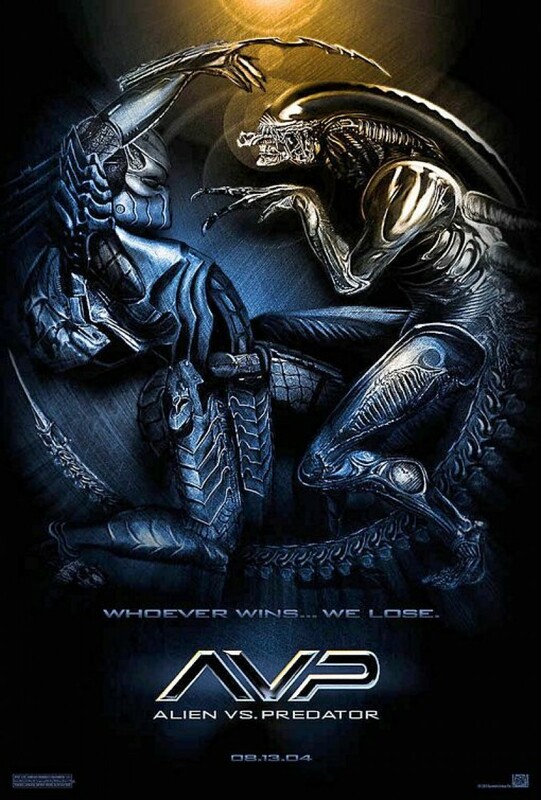 That’s how we were with AVP. But, never let it be said that the Explosions Are Rad crew doesn’t go back and re-evaluate. AVP finds a group of scientists, archaeologists, industrialists, diggers and mercenaries traveling to Antarctica to investigate a strange heat signature that’s more than it seems. Lead by Charles Bishop Weyland (Lance Henriksen) — who plays the inspiration for his character in the Alien flicks — the trip soon proves to be more than meets the eye as the crew discovers an ancient underground temple that just so happens to house an Alien queen. As we learn, millennia ago, the Predators came to Earth, built these temples to test their skills against the murderous xenomorphs and returned to test their warriors. The crew stumbles upon this deathtrap and must do their best to survive as the Aliens and Predators try to kill them and each other. The problem with this movie mainly comes in the first 20-30 minutes, which could and should be significantly trimmed down. Sure, it makes sense that they want you to care about these characters, but at the same time it also feels like they’re trying too hard to get you to care about the bait they throw in the water during Shark Week. Hit those plot points a little quicker and get to the action. The biggest and most pointless part of the film that could have been excised completely is this extended interaction where Antarctic guide Alexa Woods (Sanaa Lathan) goes back and forth about leading the team as they’re untrained and the mission timeframe is too tight. Of course, she winds up staying on because she doesn’t think her replacement is good enough so this conflict that feels tacked on winds up doing absolutely nothing but show the audience that Alexa is a good, moral person, something that comes across pretty naturally. But, aside from a bit of a length problem, the rest of the movie’s actually a pretty fun ride. The crew gets split up inside the temple as the various hunters go about their business, thanks to some Cube-like shifts in the building’s structure. It’s a pretty well thought out movie, directed and co-written by Paul W.S. Anderson along with screen story credits going to Alien writers Dan O’Bannon and Ronald Shusett. They probably didn’t need to go to all of the trouble to set the flick on Earth, but what they did seemed to fit well with the existing worlds set up in the previous film. Of course, the real test of a crossover movie’s success or failure lies in how cool the scenes look when the two different groups finally come together on screen. This film neither lacks those kinds of scenes in the latter half, nor do they disappoint. You not only get to see three different Predators doing their things, but also a pretty impressive cast of Aliens including a Queen running ripshot through this place leading up to the ultimate battle. While expectations might have been incredibly high for Aliens Vs. 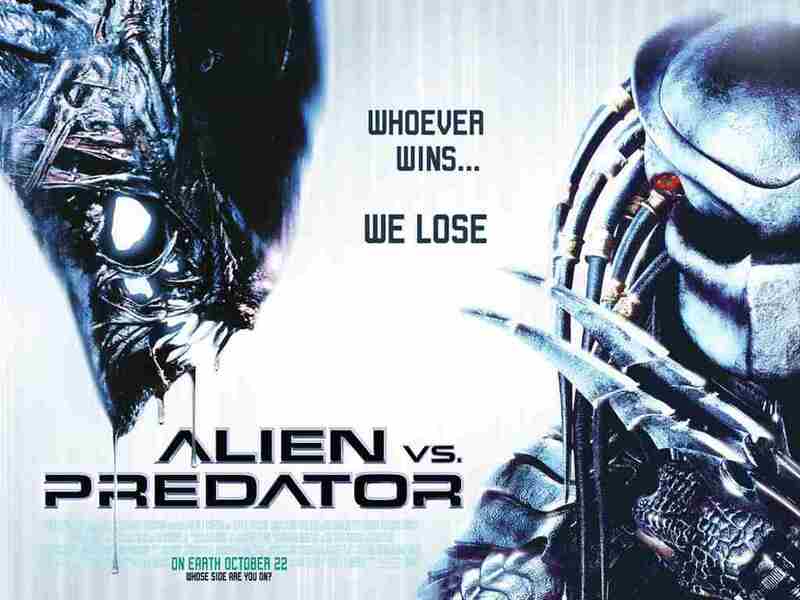 Predator the first time around, we think it’s worth checking out further down the line with a better understanding of what’s actually happening in the film as opposed to what we want to.